Links are the currency of the web.Without the right links, your new site has a slim chance of generating organic customers.A study by Outbrain shows that search is the #1 driver of traffic to content websites. It outperforms social media by more than 300%. Despite every attempt made by Google to redefine SEO, links from authority websites will continue to have a strong impact on organic search rankings. Your new site doesn’t seem to show up anywhere in the top organic listings? Right now, you’re stuck and don’t know what to do to build the type of links that Google will reward. Every new step – doesn’t look promising – it’s scary. Deep within you, you know that something is missing. And you’re right. Something is definitely missing, especially in the value you attach to links, and your approach. But don’t worry. I wrote this article with you in mind. In less than 10 minutes per day, you can distribute content at different blogging communities, and achieve significant results. In turn, this approach will increase your chances of attracting the right links to your web pages, too. Most people write content with the hope that people will find it. Sometimes, it doesn’t work that way – especially when your site is new. No one knows your domain name yet, and Google definitely hasn’t indexed a lot of your fresh web pages. So how do you get across to thousands of people who will read, share, and benefit from your content? The simple answer will surprise you. In this concept, the word “syndicate” simply means to distribute your content where the right audience will find, read, share and link to it. 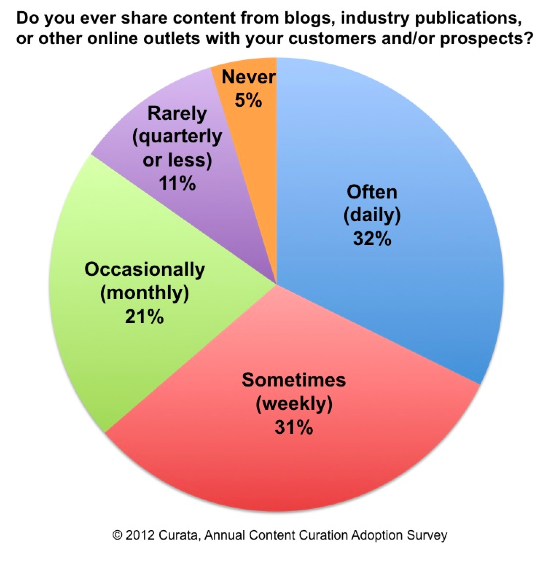 And there is no better place to syndicate content other than blogging communities. Blogging communities have one single objective – to help fellow bloggers expand the reach of their content. If your content is truly useful, and not just some regurgitated piece, you’ll notice that a lot of bloggers and website owners will link to it. Blogging communities are similar to social media networks. Because a group of people with similar interests gather to connect, share and support each other. The leading content distribution network is still social media. 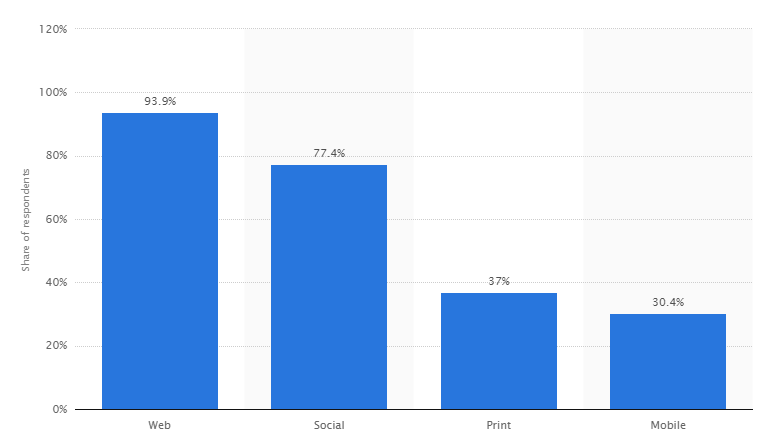 A survey conducted by Statista to determine the leading content distribution platform among B2B marketing professionals in US showed that 77% of respondents trust social media more than print and mobile. If you distribute your content through traditional social media networks such as Facebook, Twitter, LinkedIn, and the like, you’ll end up getting social shares but the chances of getting someone to link to you will be slim. That’s why blogging communities (which also functions like a social media platform) is the best place to syndicate your content, and get quality links. There are so many active communities where you can get started. One of them is growthhackers.com. Another is Blokube.com. Remember that blogging communities are niche-specific. If your niche isn’t internet marketing, you can use these search strings to find relevant communities to syndicate your content. If your content contains some hacks or uncommon strategy for driving traffic, improving conversion rate or getting a dramatic result, then you need to syndicate your content here. 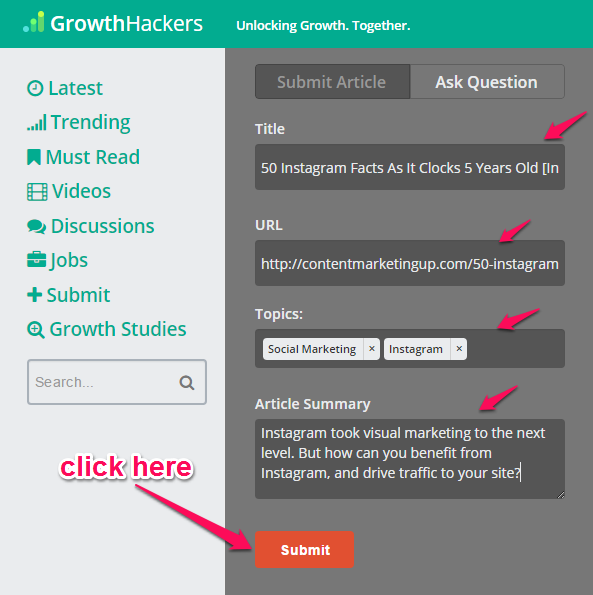 Here’s how to submit your content at Growth Hackers. Step two: Fill in the blank spaces with your information. Then click the “submit” button. If your submission was successful, you’ll see this page prompting you to share the link on Facebook, Twitter and the rest. 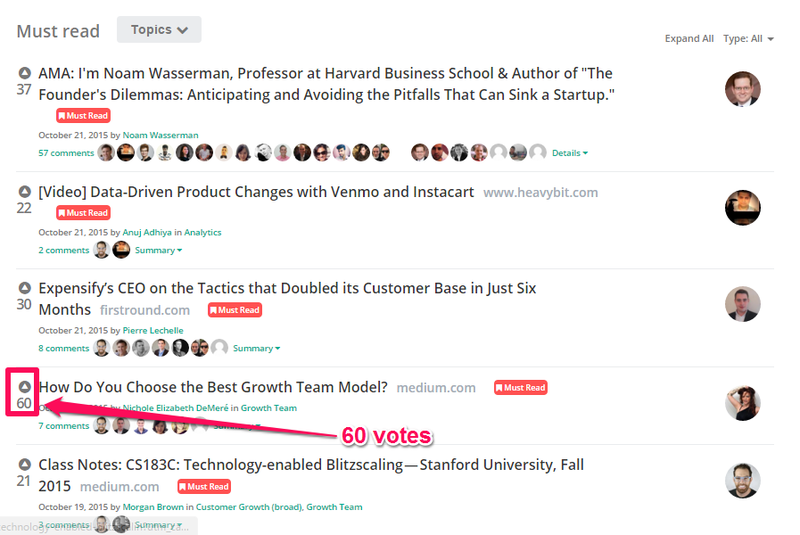 Remember that the more ‘votes’ you get, the more your content climbs and stays at the very top of the homepage. 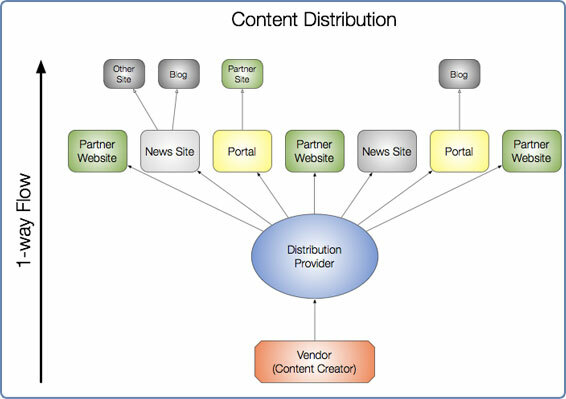 Several brands have used content distribution to attract new visitors to their site. For example, Qatar Airways was faced with the challenge of distributing content within hours of event to maximize coverage. So they decided to use different platforms and communities (multiwire) to distribute globally to intake desks, journalists and bloggers within hours of the launch – giving them immediate access to content. 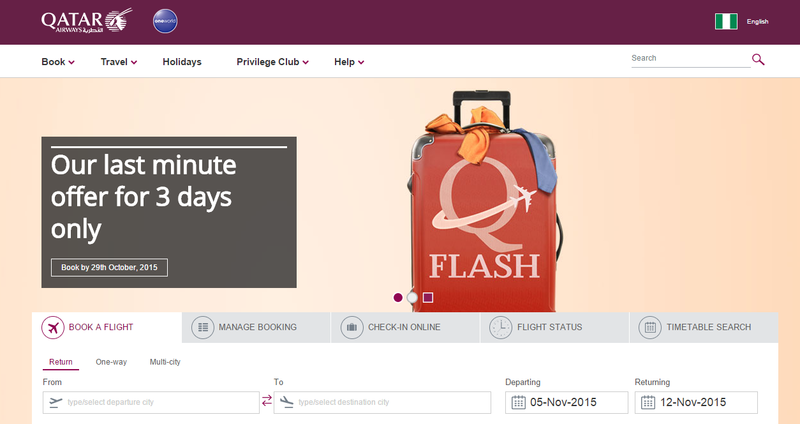 Qatar Airlines saw a significant result. They generated more than 500 downloads, got their video content embedded on more than 50 sites, got picked up by Bloomberg, Mail Online, ARD, and Middle Eastern Press. Distributing content across blogging communities truly works. Whether your blog is old or still new, it’d work for you. Just be consistent and you’ll increase your chances of earning authority links. Influencer marketing is the hottest trend now. According to Social Times, over 50% of marketers plan to increase influencer marketing budgets. Achieving success online is no longer tied to the quality of your content. The people you know will have a strong influence on the quality of your links, and who gets to read your content. For example, if you could get influential bloggers such as Seth Godin, Guy Kawasaki, Chris Brogan, and others to tweet your recent article, you’ll likely drive 1000+ visitors to your site within 24 hours. You could easily get links to your new site, if you start connecting influential bloggers. However, if you must succeed at connecting with influencers who will amplify the reach of your content and get you the links, you need to create high-value content that will be of interest to them. In this instance, you find blogging experts who know their onions, connect with them and ask a simple question. Here’s a typical link bait article published at Clambr. Did you notice that the article features 55 SEO experts? These experts left 226 valuable comments, and shared the post. But what about links? How many links has the article generated so far? Over 150 established links from 43 root domains. 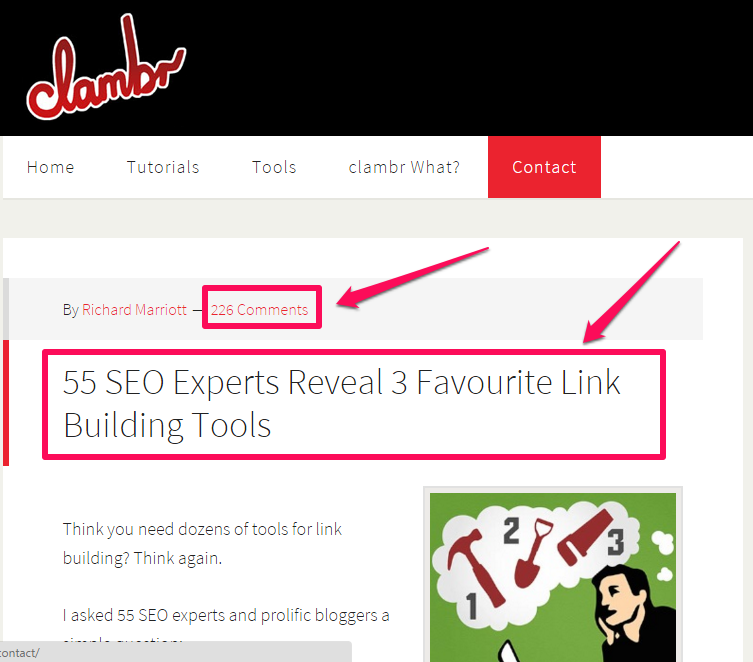 Clambr.com was a brand new site at the time when the founder, Richard Marriott created this ‘link bait’ article. So how did Richard find these SEO experts and pro bloggers? Just search for any SEO related topic. 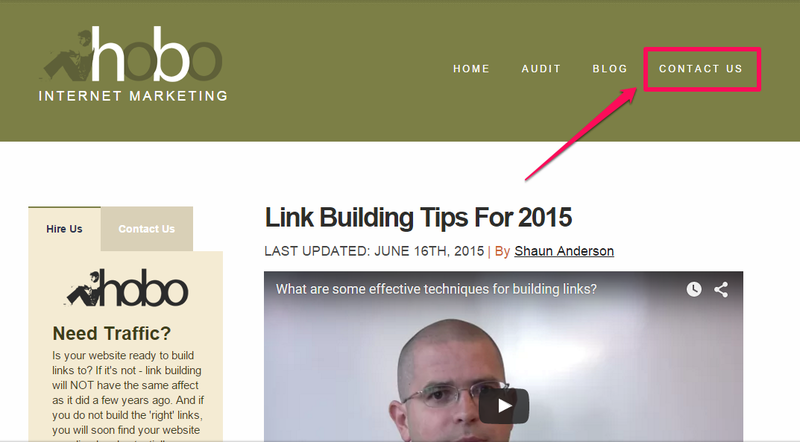 For example, “Link building tips.” Visit the top 10 results pages and contact the blog author. Next, click one of the search results to visit the web page. From there, you can contact the blogger with your question. Note: If you’ve the person’s email address, then you don’t have to waste time filling the contact form. Just email the person directly from your Gmail account. I’ve asked a similar question. I’ve been creating link-bait articles since 2013. If you email 30 – 50 power users with a simple question (e.g. what is your best time to post on social media), I can guarantee that over 87% of them will respond. 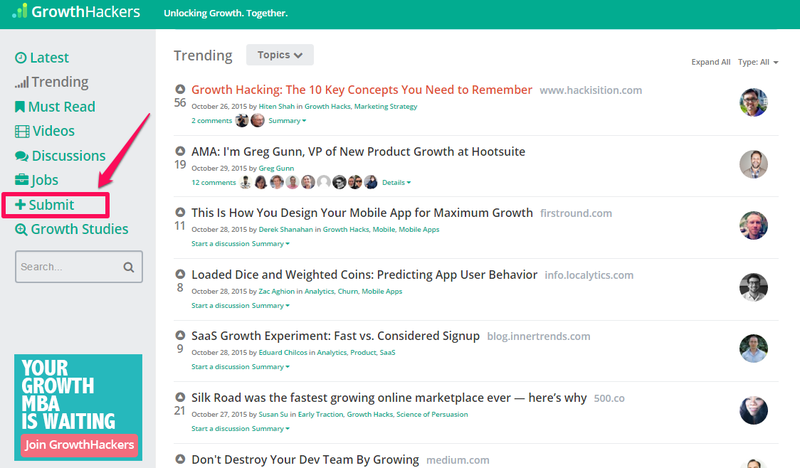 The moment you publish the article, notify all the influencers in your article via email. Send the URL of the article and ask them to share it. Sit back. And watch social shares and natural links flow to your content page. Content curation is like the magic bullet that’s very hard to come by. However, when you understand the power of curating content, and why 32% of marketers worldwide share content from industry publications, and other outlets – you’ll give yourself to it. So as a curator, your role is to filter the web for high quality content and arrange them in a simple format – ready to be consumed by your audience. The reason why you need to embrace content curation is because your target audience needs it. And digital experts whose content you curate will willingly link back to your web page. If you value your target audience, you shouldn’t let them drown in the Google search results pages, just because they want the right information that will better their lot. You should sort, arrange and organize the content for easy access. 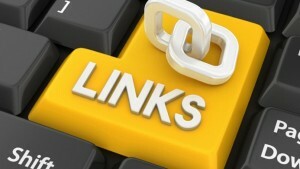 Brian Dean’s viral blog post titled “Link Building: The Definitive Guide” contains only curated links. 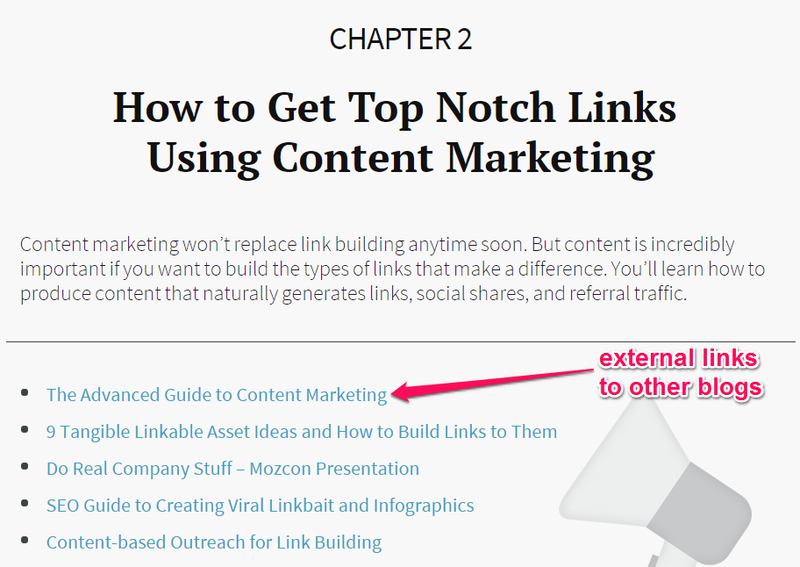 In other words, Brian didn’t write the article from scratch – instead, he sorted through the web and organized the best link building articles. Every link on the page goes to an external site. 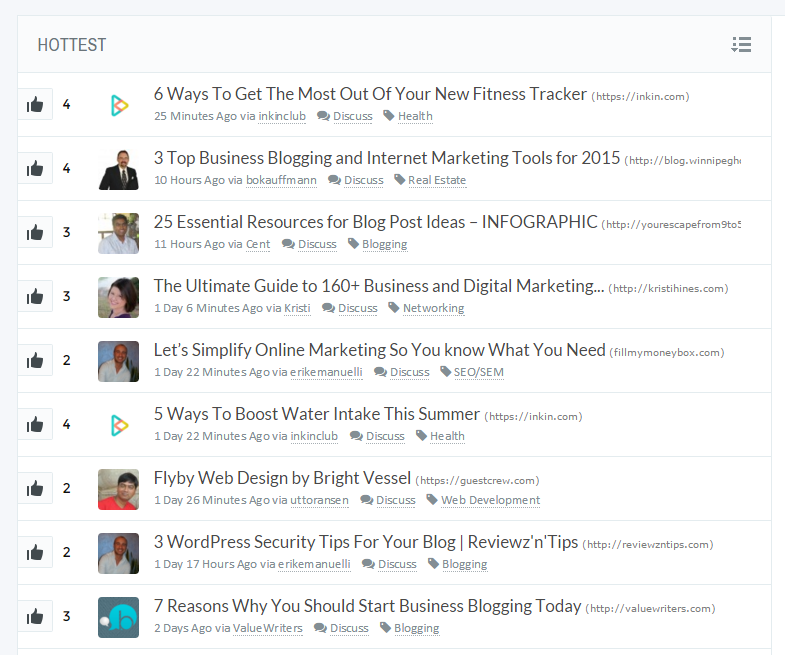 This is a typical curated content page because Brian leveraged the great content that other bloggers have published to build the right links to his new blog (at the time). Curating content is easy. 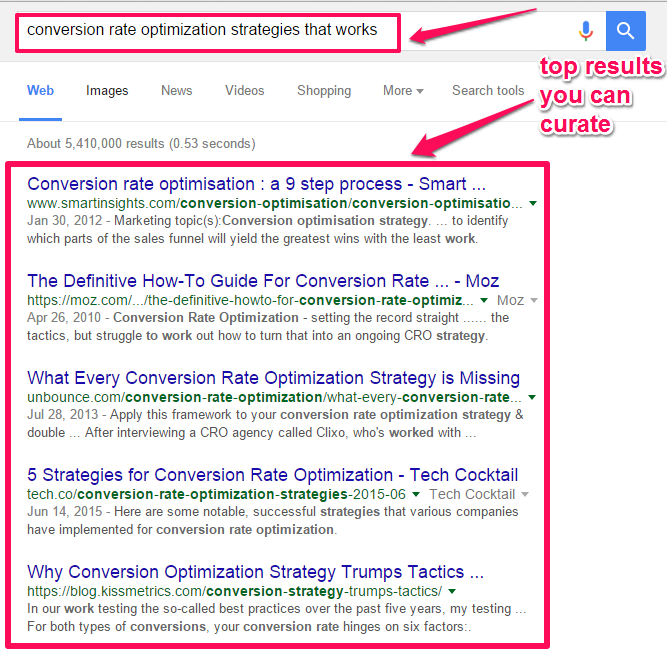 Let’s assume that you want to collate the top 50 articles related to “conversion rate optimization. These top search results can make it to your list. 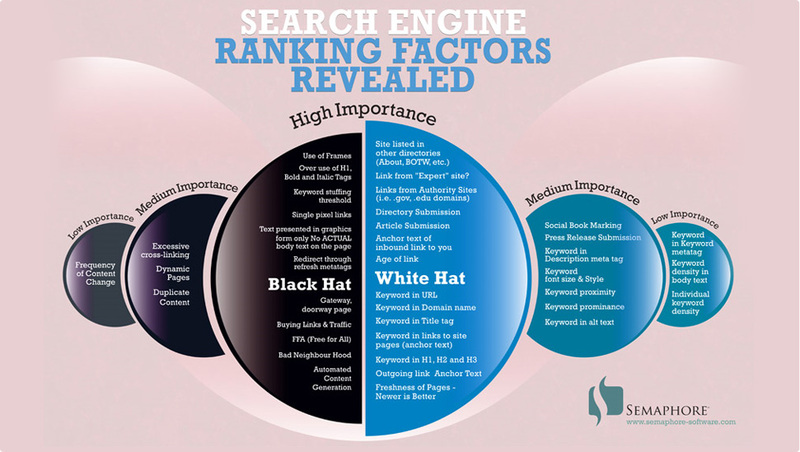 Because they’re already ranking highly in the organic listings, you should leverage them. Bear in mind that when curating content, you don’t have to contact the blog owner or author. Just go ahead and link to their content. However, when the article goes live at your blog, notify the bloggers to share it. As a Virginia SEO service company we execute all the above tactics for our clients. The strategies that I’ve shared will only get you the right links that will impact your search rankings. But it’s not a hit-and-run approach. I encourage you to stay put and do the work. If you can’t track your links, it’ll be difficult to grow your new blog. Since you’ve 3 hours to invest into link building in a week, you need to work on proven strategies that will produce the best results that can be tracked. A successful link building campaign isn’t just about great content; it’s about distribution and how you’re able to take a piece of content and amplify its perceived value. You should now have a better view of link building, especially when it concerns your new site. Consistency is the only ingredient that will help you see dramatic results, and improve your organic search rankings. 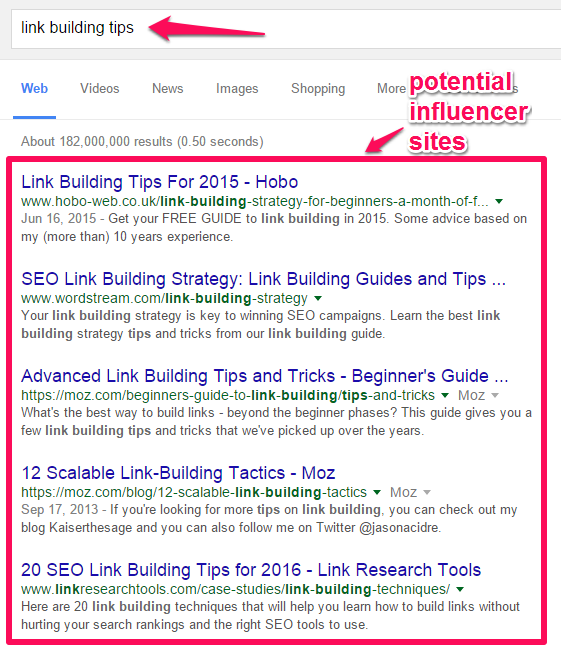 Which of these link building strategies do you actively use, and what are your challenges?